What Are ‘Nation’ Interns Reading the Week of 3/27/15? "Private University Police Patrol Off-Campus (and Off the Record)," by Hannah K. Gold. Pacific Standard, March 17, 2015. Campus police officers may be privately hired, but they do everything we expect public police departments to do: patrol neighborhoods, carry weapons, make arrests, racially profile people. At public universities, the Freedom of Information Act covers activities of campus police, and Illinois is now the first state to push for private campus police to be subject to FOIA requests as well. “All aboard San Francisco's startup bus craze,” by Nitasha Tiku. The Verge, March 23, 2015. Leap Bus—a new startup in San Francisco—is a luxury private bus service that loops between the upscale Marina and Financial District. The Verge's Nitasha Tiku took a ride, interviewed one of Leap's founders and saw exactly what you'd expect of a private-San Francisco bus: "reclaimed wood, abundant personal space, and white people…. Wasn’t this more for elites than the masses?" 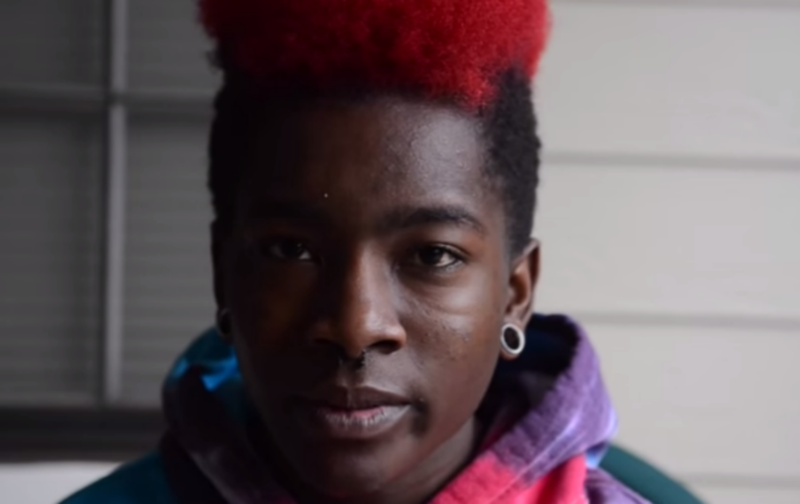 “Trans Teen Activist, Former Homecoming King, Dies in Charlotte, N.C.,” by Mitch Kellaway. The Advocate, March 24, 2015. Last year, Blake Brockington became the first out trans homecoming king in a North Carolina high school. He committed suicide this past Monday. His death marks the sixth reported suicide of a trans youth in the US this year. “Twitter Data Mining Reveals the Origins of Support for Islamic State.” MIT Technology Review, March 23, 2015. A research institute in Doha data mined tweets about ISIS to try to glean some insight into why people decide to join the group. Included in the story is a troubling quote from the lead researcher about developing algorithms to anticipate people's support for ISIS based on their Twitter history: "We train a classifier that can predict future support or opposition of ISIS with 87 percent accuracy." “Capitalism: A Ghost Story” by Arundhati Roy. Outlook India. March 26, 2012. This essay details the pitfalls of unabated privatization and structural adjustment, and describes how a handful of corporations continue to dominate India. Although this piece was written prior to Modi’s ascension to prime minister, she describes how aside from the neoliberal orthodoxy that he vehemently promoted, Modi was accused of "actively abetting" the killing of 2000 Muslims in 2002. Three years later, Roy’s essay remains relevant to the future of India— “Capitalism’s real ‘grave-diggers’ may end up being its own delusional Cardinals [of corporate gospel], who have turned ideology into faith." “Big Data Is Watching You,” by Joanna Scutts. In These Times, March 12, 2015. Critics of surveillance in the United States often reserve blame for the government, but the infrastructure that agencies like the NSA tap into arose from a calculated decision among private entities that surveillance is a profit-making venture worth undertaking. As more and more of life experience is filtered through social media, Scutts reminds us that our compliancy and desire for convenience is part of the problem. "New Haven Rising," by Jennifer Klein. Dissent Magazine, Winter 2014. Labor historian and New Haven resident Jennifer Klein contextualizes the grassroots work behind the rise of the city's 2012 majority labor-backed Board of Alders, in a city whose university-medical complex-driven “growth” has rarely translated into gains for the economic or social health for the surrounding communities. Even with these wins in local elections, shifting the balance of economic power in the city will necessitate even more organizing and the coordinated collaboration of activists across the city, from within the university and from far without. It's old news that New York's Mitchell-Lama housing program, which has provided affordable housing to middle class and low-income residents since the 1950s, is undergoing a wave of deregulation as owners pay off their public loans and opt out of the program. Yet what is state government and the de Blasio administration going to do about it? Norman Oder explains why Mitchell-Lama buildings are so badly maintained, discusses how city agencies hope to protect residents from the conversions and explains why today's economic conditions make it incredibly challenging to re-create a program resembling Mitchell Lama. “‘Woody Allen is a genius. Woody Allen is a predator:' Why Mariel Hemingway's new revelation matters,” by Erin Keane. Salon, March 26, 2015.